Picture of The Week – Fun on Ice! I thought it would be fun to start posting a “picture of the week” that captures a current event or highlights something unique to the area or even something that simply captures a snapshot of everyday life here in the Triangle. 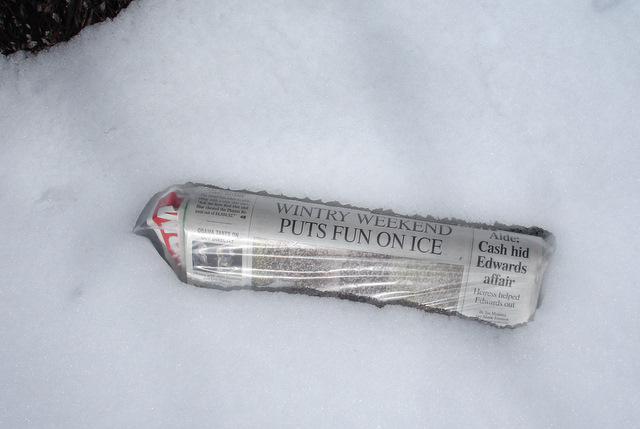 This first installment features a photograph of the local paper, The News & Observer, encrusted in the rare snow that blanketed the area this past weekend.